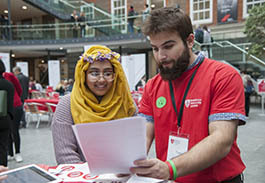 Take control of your future with a postgraduate degree from Middlesex University. A specialist course will help you excel in the job market and become a leader in your field. We design our practice-based teaching around industry needs, which means you acquire valuable, real-world knowledge and skills. And this globally-minded education ensures you'll be highly sought after by business and industry - fully prepared for an international career. 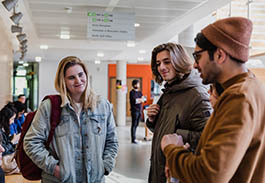 Postgraduate study at Middlesex takes your skills to the next level. Find out how a master’s degree benefited graduate Danish. 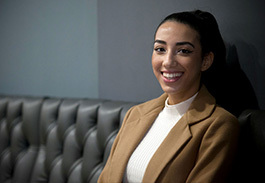 Follow in master’s student Leila’s footsteps and let Middlesex take you further. 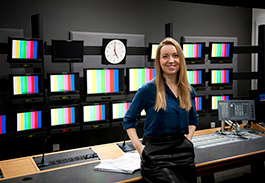 Focus your skills and build an international network with postgraduate study. This is how student Simona prepared herself for the next step. Share your contact details and we’ll send you information on postgraduate courses, events and funding options.